Dropbox just quit Amazon Web Services and the most interesting thing (beside that) is that they’re doing their own hardware now and seeing that as a huge competitive advantage. On the other side, Amazon is just screwing the $140 billion hardware industry, by building their own computing resources. Bare in mind that Google and Facebook are doing that for years now. These are obviously bad news for the incumbents here; HP, IBM, Dell, EMC, Cisco and all others. Worse than that is that everyone is joining the Open Compute Project Foundation – even Goldman Sachs. So we have the world building software and then giants building both software and hardware, killing the players and building frameworks for everyone to use. Now the thing is that no one is paying attention to the Open Compute Project. Everyone is focused on the software that’s eating the world, but actually is hardware that will have the major boost. Just think about how many software people do you know… and hardware people ? 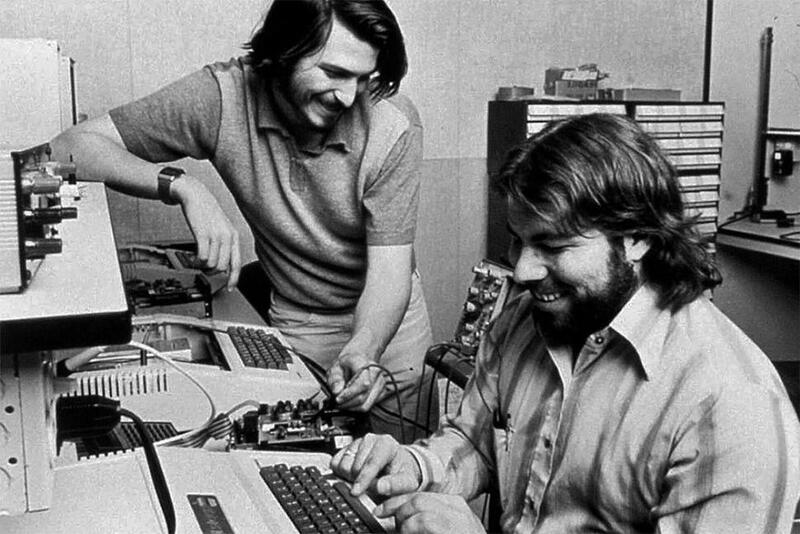 You don’t know the next Woz, or do you ? Now think again about the Raspberry Pi and all the ‘hardware makers’ that are starting to emerge. They will lead the ‘revolution’ again out of the garage with the next board or kit for people to use and giants to scale. It’s history repeating itself.